Its almost the end of January and its still pretty cold here in the Mid-Atlantic region. January & February are usually the worst months when it comes to cold and snow in our area. We are currently watching a snow storm which is supposed to hit us later today, tonight, and tomorrow. So, with that and the current temperature around 40 degrees, its a great time to open the hive for a quick inspection and add some food for the remaining winter. 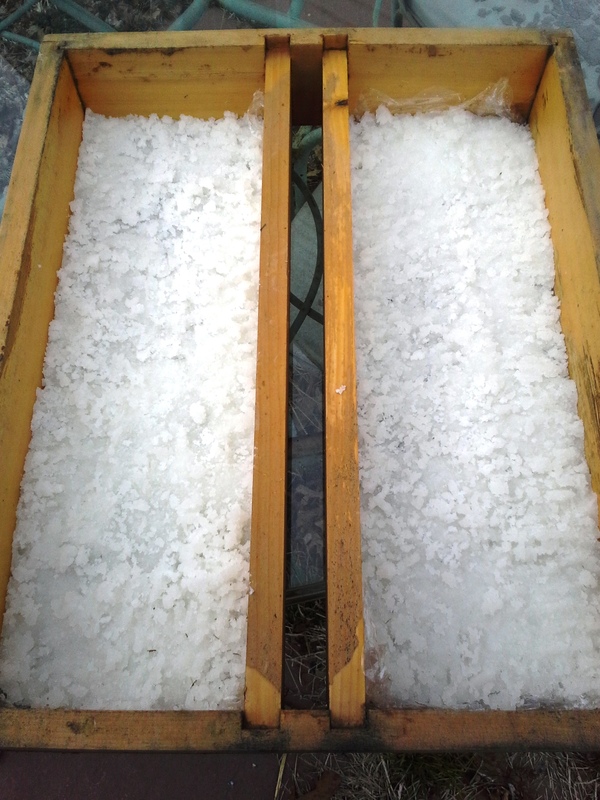 Our bee food is no more than sugar and water put into a feeder and allowed to dry. Normally we would use a liquid feed, but with the worst of the winter still coming, we opted for a solid that the girls can nibble and get enough sustenance to complete the jobs this winter. 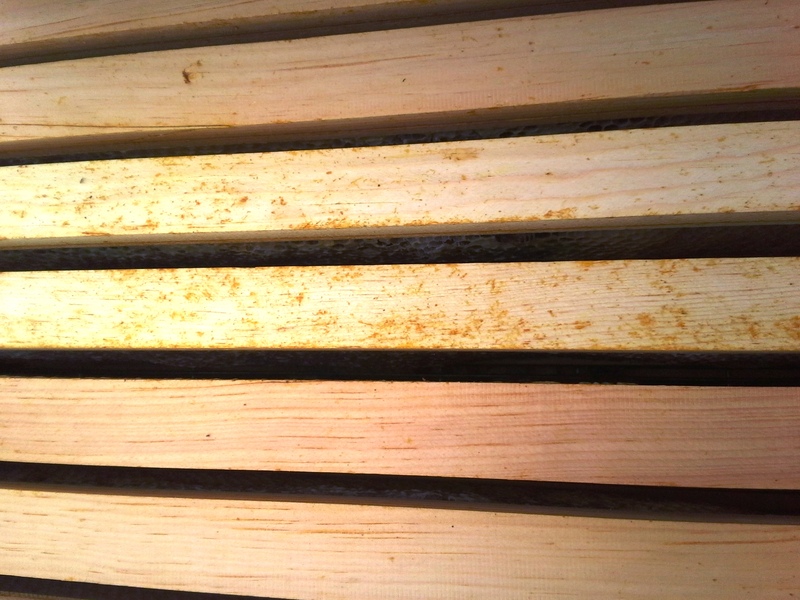 Opening up the hive in winter is iffy, so we wanted to make this a very quick inspection: only removing the top and inner cover to expose the top box frames. Frames of the top box-little activity. looked as if they had already been eaten, so I looked deeper to see a flurry of activity in a lower box. This is a great thing to see this time of year and hopefully means we will emerge in spring with a strong, honey rearing colony. 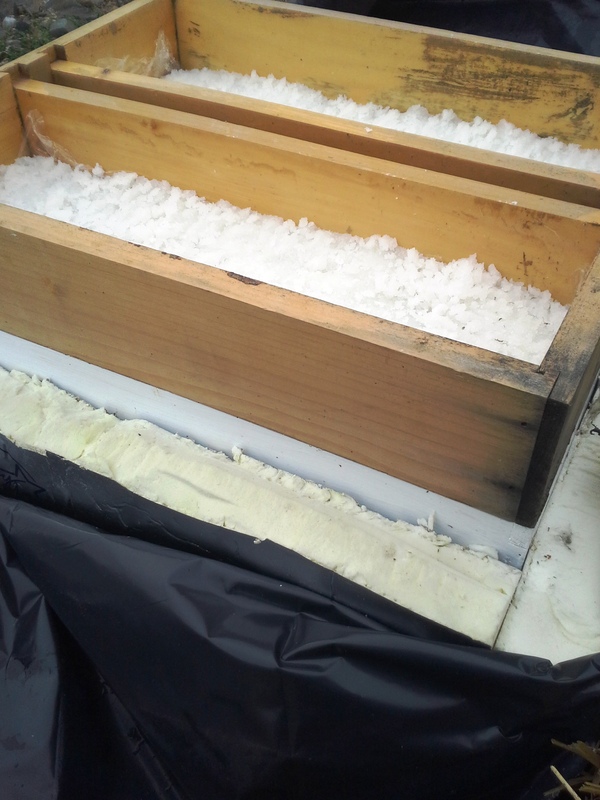 We were not in the hive more than a minute to insure not losing much heat stored from the bee colony. 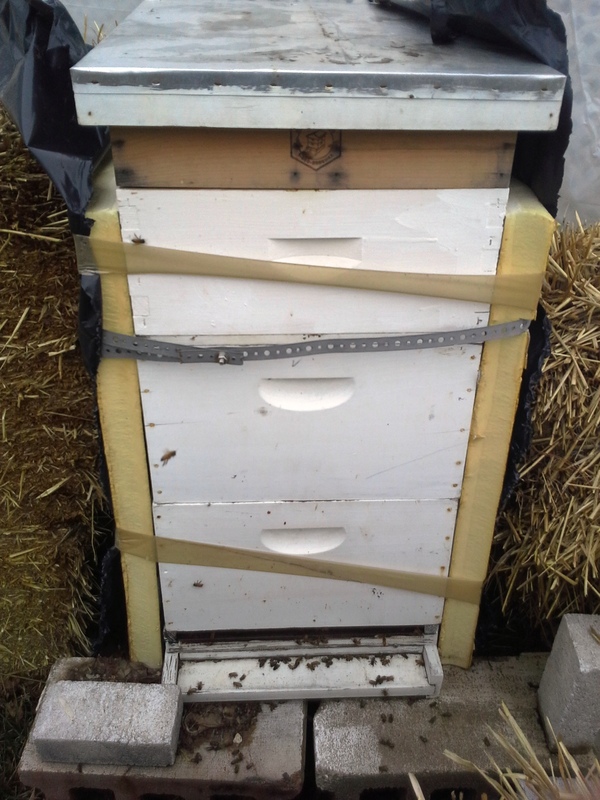 After insuring activity, we closed up the hive and re-wrapped to allow the bees to quickly regain the 90+ degrees they are used to in winter months. Feeder added to top of hive.